This topic contains 1 reply, has 2 voices, and was last updated by Paul 1 year, 7 months ago. Thanks again for this theme, I’m still super happy with it. I was wondering whether it’s possible to create one column galleries too, instead of the automatically 2-3 photo galleries. This would work out better in the case of photo reports. Install the Regenerate Thumbnails plugin. After you install and activate it, go to “Tools” > “Regen. Thumbnails” and regenerate the thumbnails. 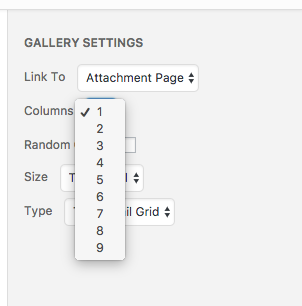 Now if you choose 1 column in the gallery settings (see screenshot), it will be displayed in one column.